‘The sky is the limit,’ said Andrea Marshall during our interview. Andrea has spent the last couple of decades working in Africa. Although #sharks were her passion since childhood, she broadened her area of study and landed in #Mozambique studying various big marine animals like those who have given her the nickname of ‘the queen of mantas’. 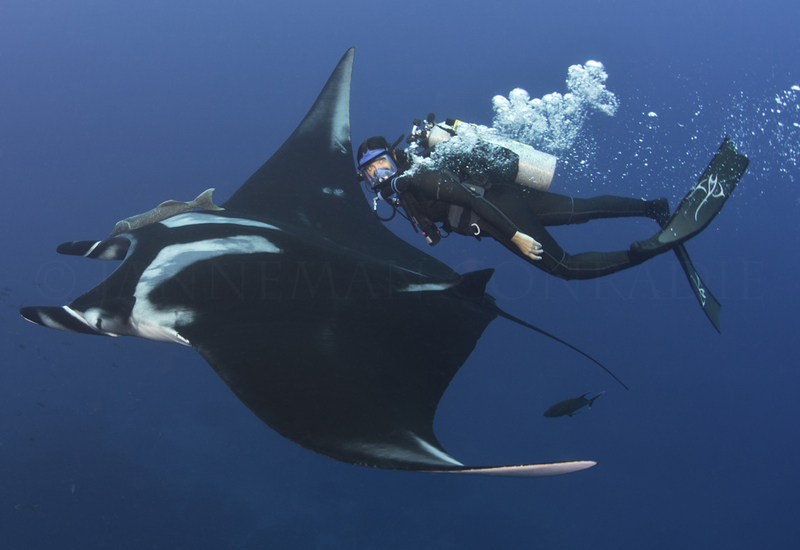 Research and conservation of mantas, whale sharks, and other marine megafauna is what she does. 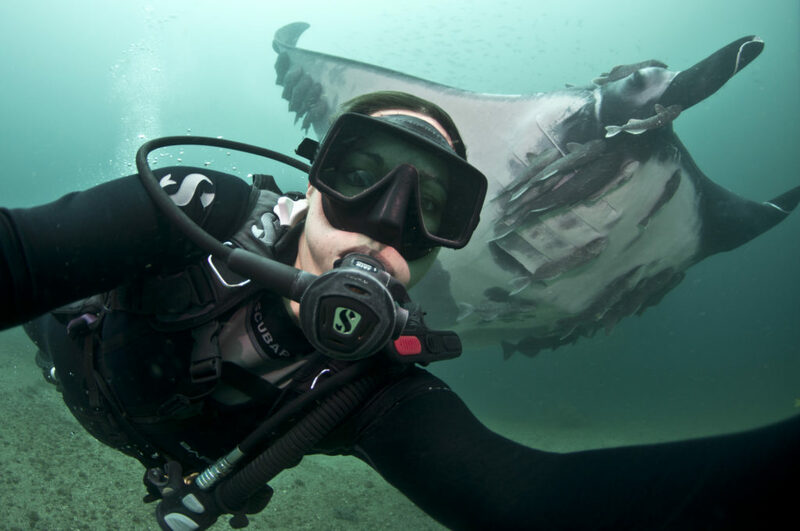 Although she did aim to be a marine biologist, she did not aim for these particular –and amazing- positions of: Cofounder of Marine Megafauna Foundation, Principal Investigator for the MMF Global Manta Ray Program, and a Nat Geo Explorer. TEDtalking her story here. Cool, huh? But there have been quite a few challenges to get to this point. Being a female as a field biologist and chief scientist was also challenging and she almost gave up. Respect grows slowly and to be able to connect with communities didn’t happen overnight. All those situations were stumbling blocks along the way but she’s managed to learn, get used to, and find her way around. 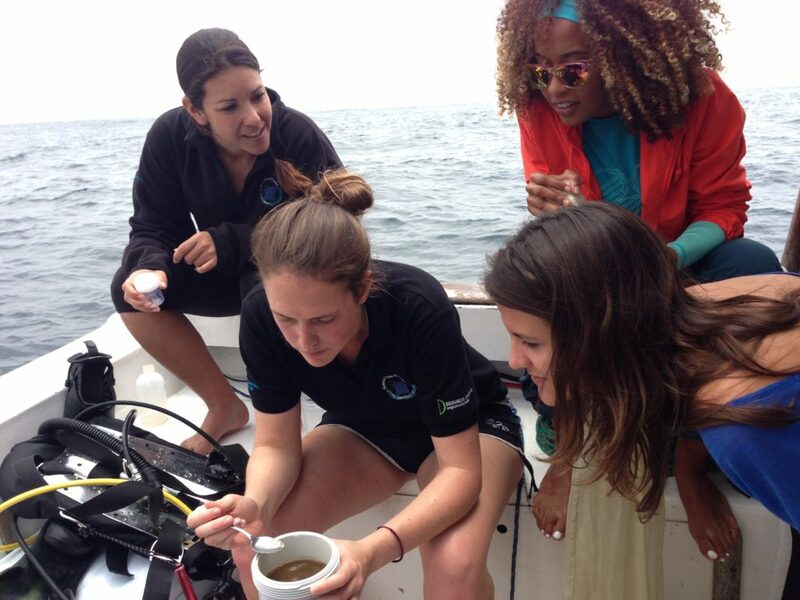 So, that’s how Andrea sees herself now: not only as a marine biologist but also being that inspiration and voice of encouragement for the girls she meets, so that we don’t lose incredible women along the way. She mentioned that one of the biggest concerns of women in science seems to be longevity in this field. Can we succeed in STEM fields and also achieve other personal goals? Do we have to drop out after working so hard to finish a PhD or can we have both? So, what would be the key is to stay in STEM fields? Andrea’s answer was clear: to have an example to look up to. She remembers having very few female role models in science. It wasn’t enough to have a male role model. Even though her parents and friends supported her, she felt the situation as a female was different and wasn’t sure that she was going to be able to make it. A male role model wasn’t enough, she needed to see other women that had made it too. Inspiring girls with positive stories of women that have achieved this could be a key step to show that it is possible. Andrea has managed to combine her passion for marine science, her dream to have an impact in conservation, and her desire to have a family. I’d say this is certainly a combination that results in an amazing role-model to look up to. Andrea sees an unlimited future for women in STEM and reaching girls early may be a key. Some of the actions she believes can eventually make a difference are: give girls the support they need, empower them to have a choice in terms of their decisions about family planning and health, allow girls to think broader and show them there are other things out there, ensure that girls are stimulated in the same way as boys are can help girls to be interested in the STEM field earlier in their life. #womeninSTEM. We can and we rock.